Travel accessories are those "little things" that can be very important to a smooth and trouble-free trip. They can often be the things you always wish you had or you had packed, but always forgot until you're already on the road or at the destination.These little travel accessories, for instance like the Luggage Locks, Luggage Scales and Luggage Straps or Money Belts, Travel Organizers, Wallets and Neck Pouch are items that will make you feel more secured. Laundry Detergents and Clothes Line may help you save some money on laundry; and the Eye Masks and Ear Plugs can actually help you through with your needed rest and sleep. Universal Adapters are very handy and useful when you want to use your electrical items especially when you are abroad. Perhaps it's good for you to have a standard checklist, to ensure what you have and what you don't. It is very frustrating to discover you had forgotten the important accessories that you need on the trip. Universal Adapters for instance are extremely important, especially if you happen to be at a remote town somewhere,in a different region or country, and you had brought some electrical items with you. 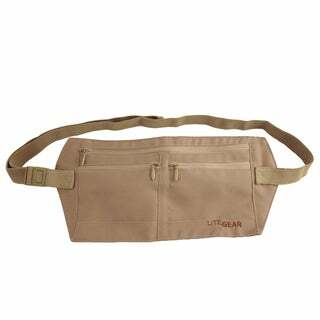 Wallets and Travel Organizers, Neck Pouch and Money Belts are something essential these days especially if you are going somewhere notoriously known as haven for pickpockets who pry on tourists and travelers. To further secure your luggage, you may want to consider placing additional luggage locks and fastening it with luggage straps; and bring along with you a luggage scale so that you can check not to exceed your luggage weight limits. 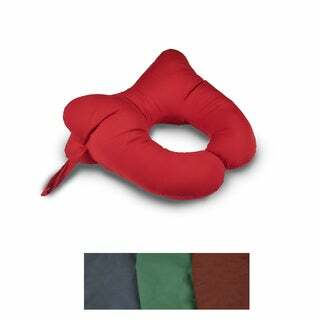 The ear plugs and eye mask are essential for some people and perhaps for you too as it could assist you to catch up with your sleep. A digital luggage scale allows you to better plan your packing and keeps you from having to shuffle belongings between bags at the check-in desk to avoid hefty overweight baggage fee. 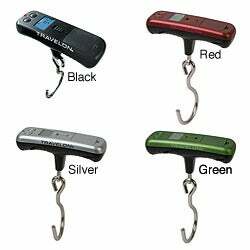 The simple and ergonomically designed luggage scale could be easily tucked away in the pocket of your luggage or carry-on luggage and is especially handy after your buying spree. I had a friend who had to pay about USD15/kilo for excess luggage when he could have booked for an extra checked-in luggage for the same fee! The 2 to 3kg excess could mean big savings and more money for other things, perhaps. Once I read an advice from our local police officer about car-jacks. He said that if you have two similar cars park side by side, one with a steering lock and the other without one, the obvious one that would be the target of car-jackers would be the one without. I believe the same goes with our luggage. 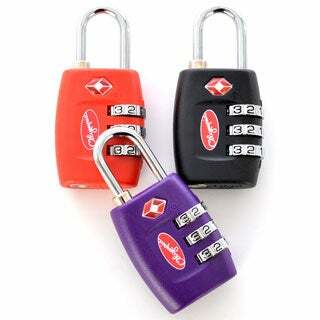 Use good luggage locks and further secure your belongings. It helps to give you peace of mind when you travel. 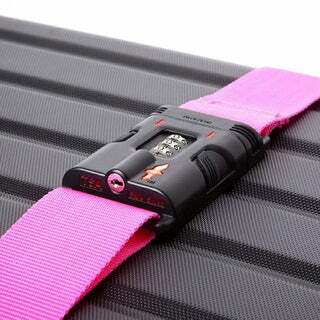 Luggage straps not only secures your bag similarly to luggage locks. It gives that added notice-ability and helps you identify your luggage quickly as it rolls onto the conveyor belt at baggage claim. It is indeed very handy and can be tucked away in your luggage when not in use. Luggage straps can also assist in keeping your things in place and not bulging on the sides. What I notice often is, either you have a strong colored bag to make it conspicuous, or have luggage straps for the dual purpose, or you can opt for both which I did. It's so easy to collect your bag and not having to flip and look at the tag to confirm it's yours. This way you can avoid unnecessary delays at the baggage claim. Your travel may take you to other parts of the world where countries don't use the same electrical outlets. 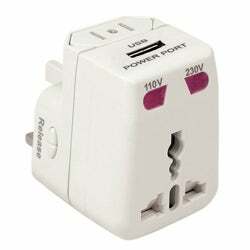 If you need to plug in electronics while you're abroad - your hair dryer, curling iron, and especially your cell phone, laptop or digital camera, your rechargeable or plug in electric toothbrush etc., you will need a power converter or universal adapter set to make sure your electrical item fits the wall socket and the relevant amp in use. I've done a bit of travelling and found out that it is not uncommon even when you travel just within your neighboring countries, or the region, to find the sockets used differ from your own. It's better to be prepared than to be sorry. Make sure you bring alonguniversal adapters with you! Or if you care to look at, browse at the range of Insten universal adapters for various applications on this link. Take a trip or vacation feeling more secured with anti-theft travel bags. These recommended handy travel accessories also helps you to stay organized. 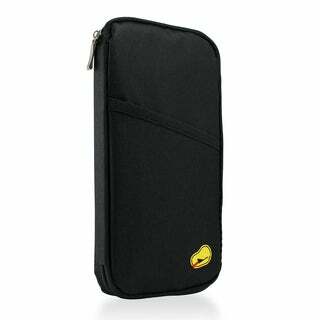 There are many choices of Wallets and Travel Organizers . You can have one that keeps your passports and important travel documents in one place; is easy to retrieve, and can also be elegant and stylish. More of these wallets and travel organizers are RFID-protected and concealed; and so you do not have to worry about personal data theft that's kept in your hand-phone, credit cards or your boarding passes. For instance, the Royce Black Leather Executive Zippered Travel Document and Passport Case could be something which may appeal to you and suitable for your requirements, or the other choices of wallets displayed below. Another way of keeping your cash and card secured is to keep them in a neck pouch or money belt and have them very "close" to you. The neck pouch can be tucked inside your tee or your jacket and will not be visible to others. I normally do not keep my cash in one place. Just a fair bit which I plan to spend, kept in my pockets, and the balance in a more secure place like the neck pouch. The Money Belt serves the same purpose as well. You wear the money belt similar to wearing the normal belt over your pants, and it can be concealed by your shirt or jacket. Aside from the ones featured below, Suvelle RFID-Blocking Anti-Theft Hidden Waist Belt Travel Pouch probably is one, you would like to consider. At times it is best to take that extra precaution, as you may not realize what lies at the place you're visiting. At times it is difficult to sleep when you are travelling long distance or inter-continental. This is made worst if you have the person next to you on the plane, train or bus talking, chatting or snoring. I had gone through this quite a number of times after which the experience taught me a lesson and I knew I have to be more prepared after that. Having Ear Plugs would be very handy indeed so you can catch up with your rest and sleep, whilst not having to ask the person close to quiet down. 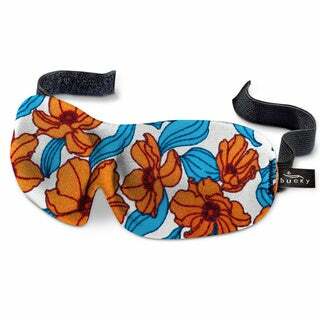 Keep these handy on your travels and do not forget the Eye Mask too, if you are one who finds it impossible to doze off with the lights on, or you're trying to adjust to the day-night difference. If your travel is for quite awhile, you might want to quickly wash and dry some of the clothes especially the smaller ones in your room rather than send them for that costly laundry charge. Bringing along with you a small pouch of travel laundry detergent makes sense and may save you time and money too. So don't forget to pack that in your bag the next time you hit the road. That seemingly small extra saving could add up to another piece or two souvenir that you can take back home instead. This particular item provides us with the convenience of hanging and drying our clothes. Sometimes you might just want to wash your or your children' t-shirts, underwear, bra, socks or hanky, and dry it in your bathroom, or outdoors. The clothes line will definitely come in handy and it hardly take space in your luggage.